EDITOR’S NOTE: To prevent the public from thinking this filming is an actual emergency, any help you can provide in publicizing this event in advance will be of service to the community and greatly appreciated by the University. 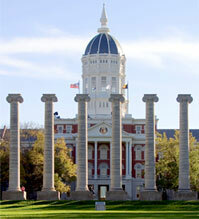 WHAT: University of Missouri safety officials will film a safety/training video. The video will help educate individuals on how to respond in the unlikely event an individual commits violent acts on campus. WHO: Officials from MUPD and MU Operations. Actors will be carrying fake weapons and may appear wounded. Francis Quadrangle (south end near the steps of Jesse Hall) and first floor of Jesse Hall. NOTE: Actors will be carrying fake weapons and will appear to be taking other actors as hostages. Screaming might be heard. Additional staff will be in and around the filming areas each day. Should an actual emergency take place during filming, the campus notification system will be activated.